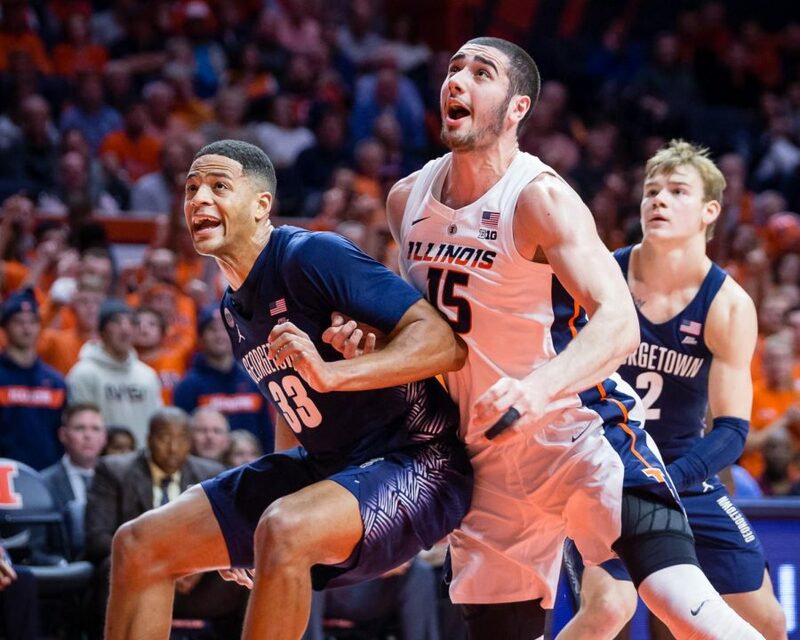 Illinois forward Giorgi Bezhanishvili fights for position to rebound a free throw during the game against Georgetown at the State Farm Center on Nov. 13. The Illini lost 88-80. 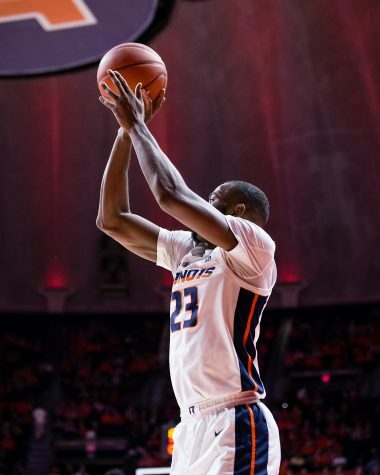 Through eight games, which has made up the program’s worst win-loss start in over a century, Illinois basketball has allowed opponents a significant edge in both free throw percentage and attempts. 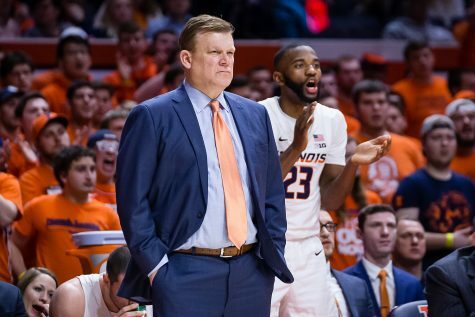 At Nebraska over the weekend, the Cornhuskers put up 30 free throws as the Illini were called for 23 fouls. Nebraska sank 25 on the way to a 75-60 win. The Illini shot just 13 free throws on the other end, making eight. Those stats are a fairly accurate representation of the season, as Illinois has struggled mightily on defense, while also failing to get to the line as often as its opponents. 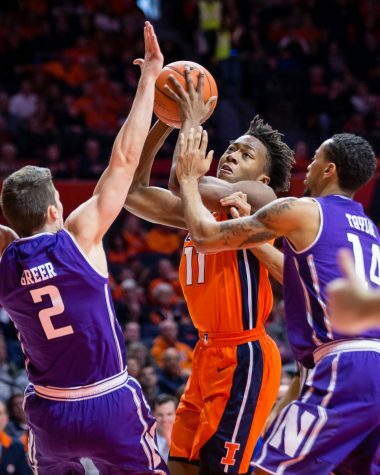 Illinois has fouled 183 times (22.875 per game) while drawing just 134 fouls themselves. 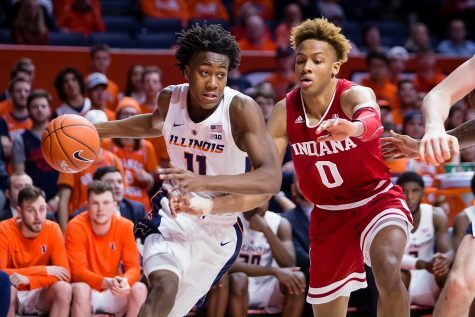 Freshman Ayo Dosunmu knows how negatively the Illini have been affected by fouling opponents on the defensive end. 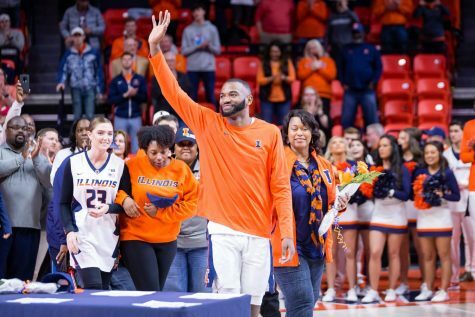 The Morgan Park High School graduate attributed the team’s Maui Invitational struggles in part to the charity stripe and how easily opponents head for a trip to the line. 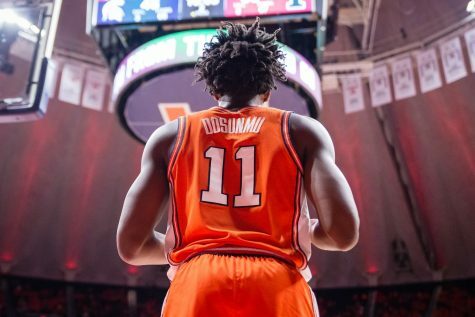 Dosunmu blames himself largely for the team’s issues, though he is certainly not the only player who has contributed to the team’s foul-plagued start on defense and lack of ability to draw fouls offensively. The guard has only attempted 20 free throws, of which he has made 12. That’s still more than any other Illini. 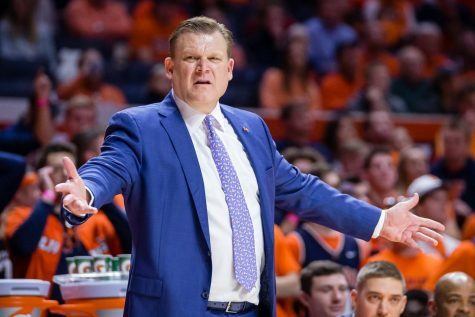 Illinois has put up 117 free throws, making 79 of those attempts to rank 311th in free throw attempts and 225th with a 67.5 free throw percentage. Underwood attributes it largely to his team’s youth. 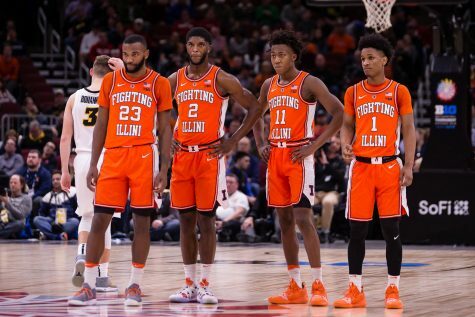 The Illini only have one senior and four returning scholarship players from last year’s 14-18 squad. 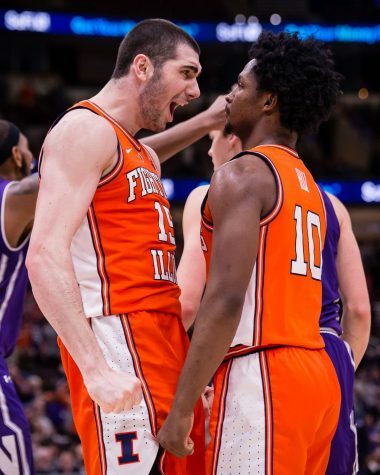 Freshman forward Giorgi Bezhanishvili has arguably been the surprise of the season for Illinois, averaging 10 points and 4.9 rebounds per game on 50 percent field goal shooting after coming into the program as an unheralded and unproven talent. But the Rustavi, Georgia, native has struggled to stay on the floor because of a knack for picking up quick fouls. He was limited to 14 minutes and two points against Iowa State and 15 minutes and two points against Mississippi Valley State. He then had 14 points against Nebraska in 21 minutes but was forced to ride the bench for most of the second half to prolong picking up his fourth, and eventually fifth, fouls of the game. 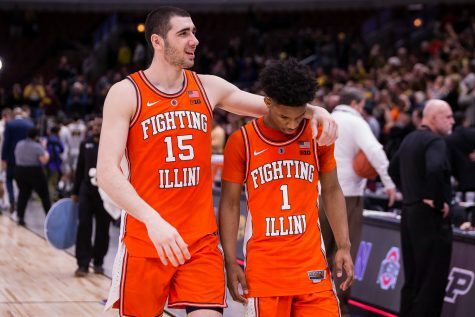 In four of Illinois’ six losses, opponents have shot at least 15 more free throws than the Illini. Gonzaga attempted 35 compared with 19 for Illinois, and Iowa State outshot Illinois 29-14. Notre Dame and Nebraska also attempted 24 and 17 more free throws than Illinois, respectively. Those stats have had a great impact on the win-loss column. It more than covers the six-point loss to now-No. 1 Gonzaga and is just a point short of covering the difference in Illinois’ 84-68 loss to Iowa State. Notre Dame made 11 more free throws than Illinois, going on to win 76-74. Lone senior guard Aaron Jordan thinks fouling and getting to the line are each reflective of effort.